L’Occitane is truly one of my favourite beauty brands. I have combination skin which can get quite dry and patchy at times. My skin tends to feel dehydrated and am always on the hunt for a cream/gel that quenches my skin’s thirst, lasts throughout the day and doesn’t leave my skin sticky. 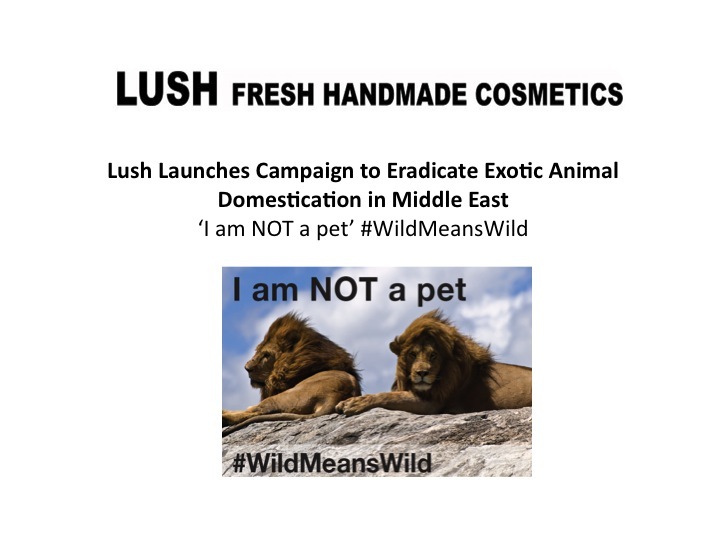 Lush, a passionate activist against animal cruelty, has launched a social awareness campaign, ‘I am NOT a pet’, with the aim of educating and engaging with communities throughout the region on the dangers of keeping exotic animals as pets.